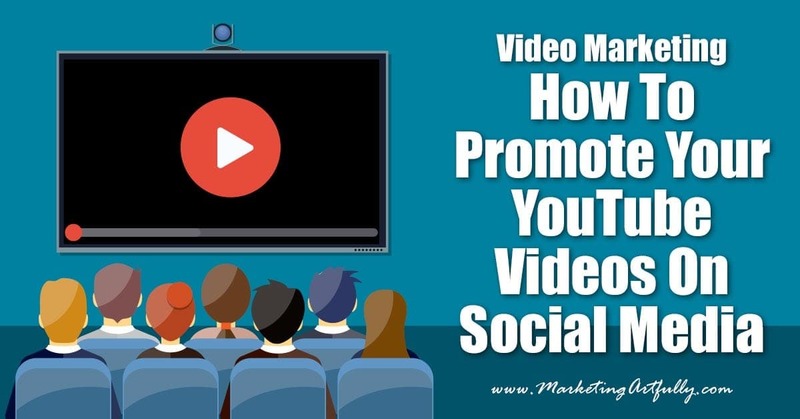 Today we are going to talk about video marketing and how you can promote your YouTube videos. I have to admit, in the past I have been pretty lackadaisical about my YouTube videos, thinking that having them up on YouTube (the second biggest search engine in the world) should be enough to get exposure for them. Doing this many videos in a row has really gotten me to thinking, with all that effort, what other little things can I do to make sure I get the most bang for my buck on videos. Then I started thinking about social media and how I could drive people from my socials to my videos, increasing views and getting more subscribers to my YouTube channel. Here is a quick overview of the concept so you can see what I mean! If you want learn the technical bits of what I am talking about today, doing a search on “YouTube Thumbnails” would be a great place to start. Functionally, I am taking the concept of doing a thumbnail for your videos and boosting it up to make a cool, swirly social media storm around all of your videos! There are “perfect” sizes for images on all the social networks and for a YouTube video. That said, I find that if I simply make one tall and one wide, I can accomplish about 80% of perfection on all the channels. Starting out, here is the difference between doing a custome graphic for your videos, or just uploading them with the video file. On Twitter, if you hit share from your video they play it right in the Twitter feed. Now, that is great and will count as a view in YouTube, BUT it is not great for getting likes or someone taking the next step and subscribing to your channel. The view on the right with my uploaded picture and hard coded link is much prettier and more obvious about what the video contains. 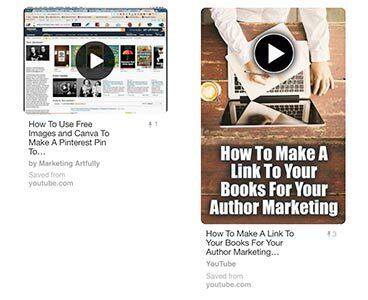 This whole plan started because I kept hearing feedback that the Pinterest users are pinning videos at a much lower rate than they are doing pictures. And if you are just uploading from YouTube that makes sense. The size of the pin on the left is super small and they would have to read the description to see what the video is all about. Using the uploaded pin, it is plain what the video is about and the icon on top screams that it is a video. 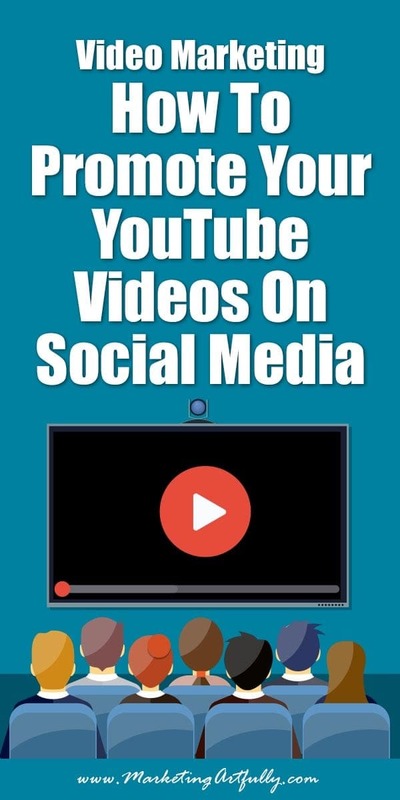 Last but not least, let’s talk about YouTube videos on Facebook. Facebook would rather you upload your videos directly to their service instead of doing a link to YouTube. 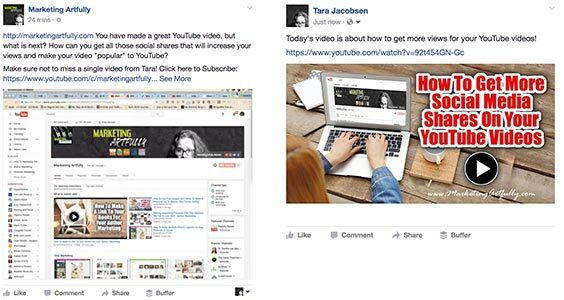 We can tell this because the views are much lower for YouTube videos than Facebook native videos. So, you would do best to upload directly, but barring that, pictures with links do well on Facebook too. I think that one on the right is MUCH more likely to be noticed than the mess that is a random picture from the video. One of the things that seems to trip up people is how to add that overlay that looks like the video icon. I LOVE it because it graphically says right away, “this is a video” and most times when the picture is clicked, leads the user right to the video on YouTube. Simply do a search for “video icon transparent”. This will give you a selection of pictures that you can use in Powerpoint, Canva or Photoshop to “overlay” on the picture you create for you video. 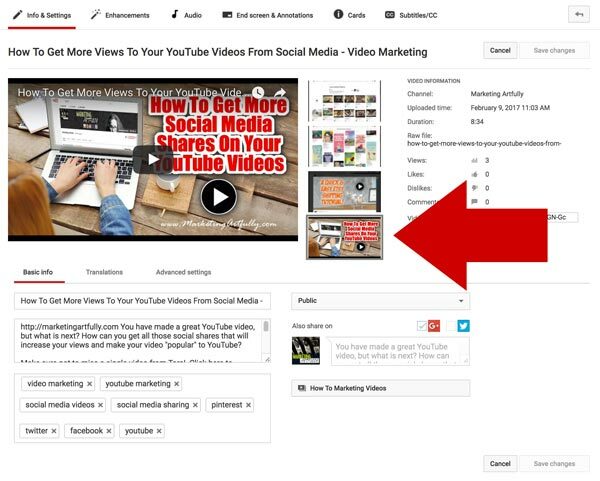 If you do nothing but upload the horizontal picture as the “thumbnail” for the video, you will get that enhanced image anytime you share the video (instead of some random screencapture from the middle). When you are uploading your video you can select your special image OR you can simply click the “edit” pencil on your video and pic your 1200X628 sized picture.